When we lived downtown, we were half a block away from the Illegal Pete's on 16th Street Mall, which was both a blessing and a curse. A blessing because I could eat a $4 (kids) burrito bowl for dinner and call it a night. But a curse because I can be pretty lazy when it comes to dinner (I'd happily eat cereal every night if Thom would let me get away with it), so I'd go for that $4 burrito bowl more often than not. Like most things, we eventually got burnt out. Well, that's what Thom says. I think it was less about us getting burnt out and more about the fact that we eventually moved and didn't have an Illegal Pete's within close proximity to our front door. Further proof that we didn't get burnt out? 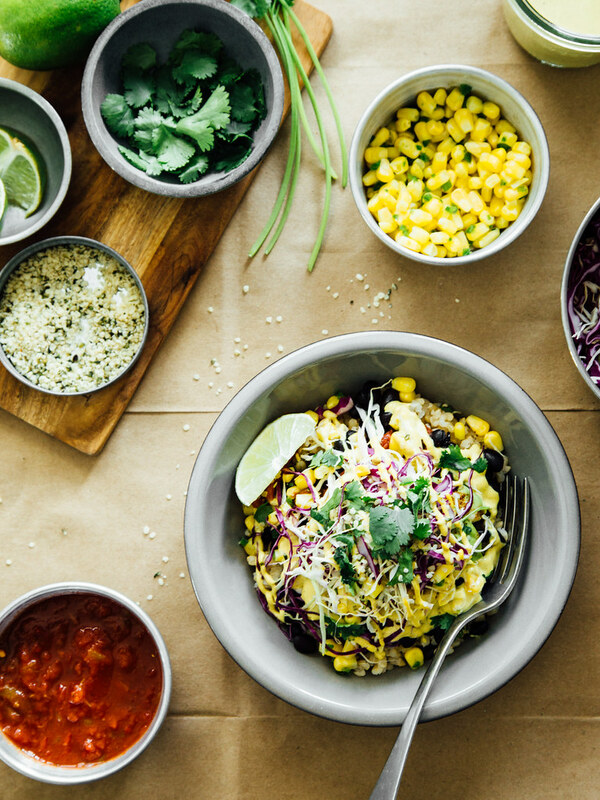 I started making burrito bowls at home. And then, a few months later, we discovered that - come spring 2016 - Pete's would be opening a new location just a few blocks east of our place. 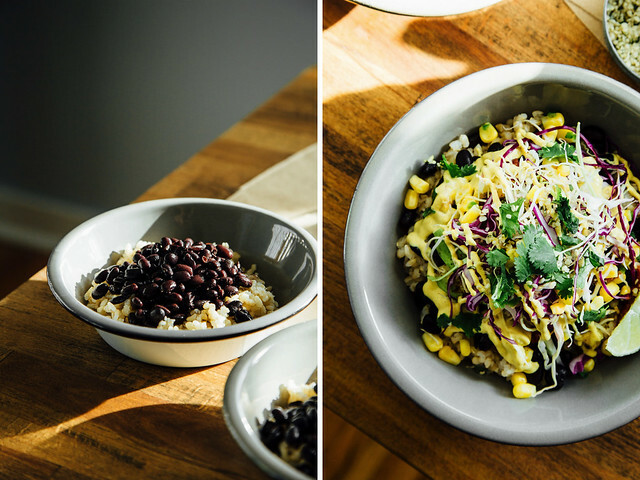 And although the thought of swapping the homemade variety with my former go-to is enticing, I recently ditched canned black beans for the dried variety. Meaning my next-level burrito bowls are no match for the ones that require me to put on pants and leave the house. 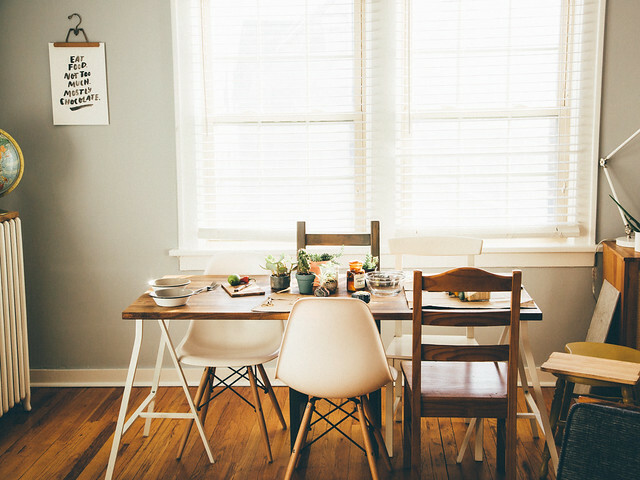 The UN has declared 2016 the International Year of Pulses. 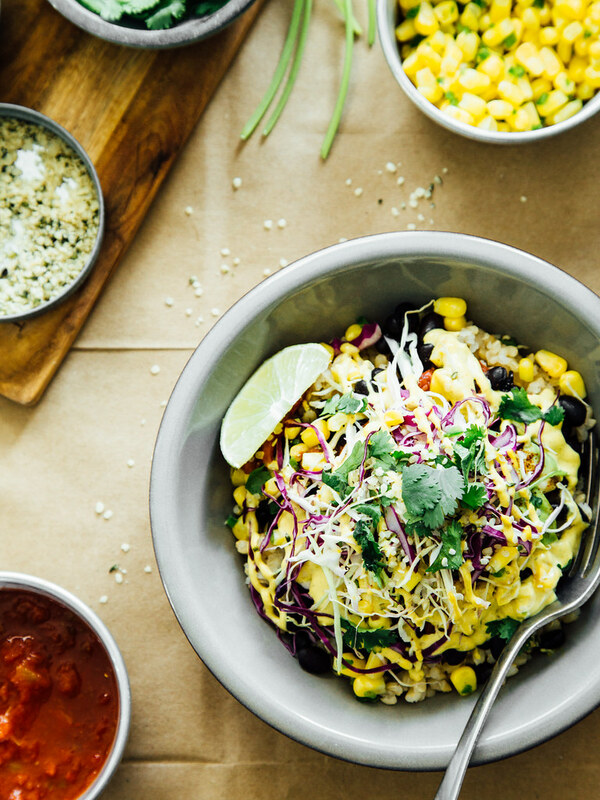 You might be wondering: What does this have to do with burrito bowls? What is a pulse? Why is this important? CAN YOU JUST GET TO THE RECIPE ALREADY? 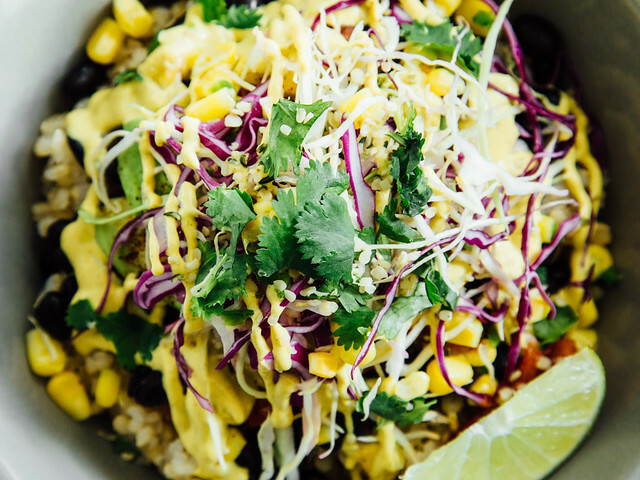 1) This has everything to do with burrito bowls (considering beans are a staple) and 2) pulses are edible seeds from the legume family (all pulses are legumes but not all legumes are pulses). More specifically, they're beans, dry peas, lentils, and chickpeas. 3) Here's the deal. Pulses are nutrient dense (they're loaded with fiber, protein, iron, etc. ), meaning they're good for your health. They're super affordable, meaning they're good for your bank account. 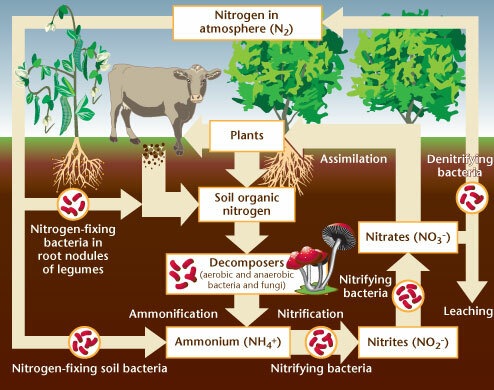 And they have a low water footprint, are nitrogen-fixing, and give all sorts of good stuff back to the soil in which they're grown, meaning they're good for the environment (pulses are basically the future of sustainable agriculture). 4) Just give me a minute. So what can you do? Well, for starters, you could take the pulse pledge and commit to eating pulses at least once a week. 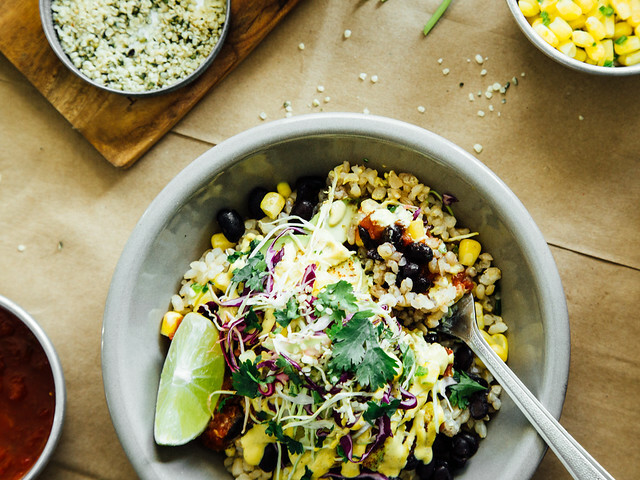 And then you can make your way through the delicious list of recipes that I rounded up in hopes it'll tide you over until my next post about pulses - where I'll round up even more recipes to make sure you guys are keeping good on your commitment to eat pulses at least 48 times, for the rest of this year. PSST! Not sure what to buy? 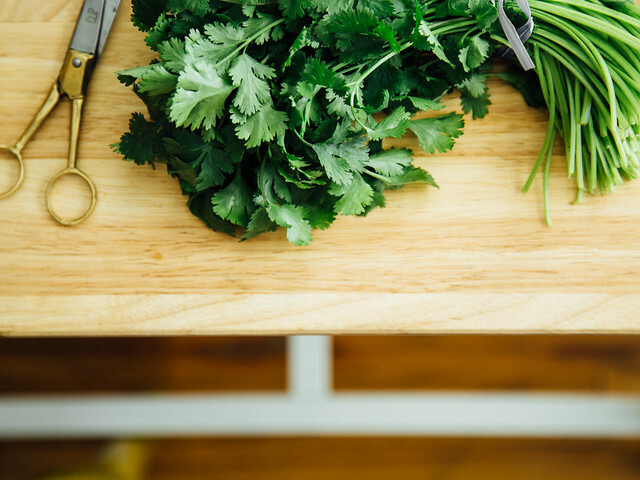 This pulses shopping list should make things a little easier. Notes: I had a year old bag of black beans I tried using to make this recipe and they took HOURS to cook (they wound up in the trash). 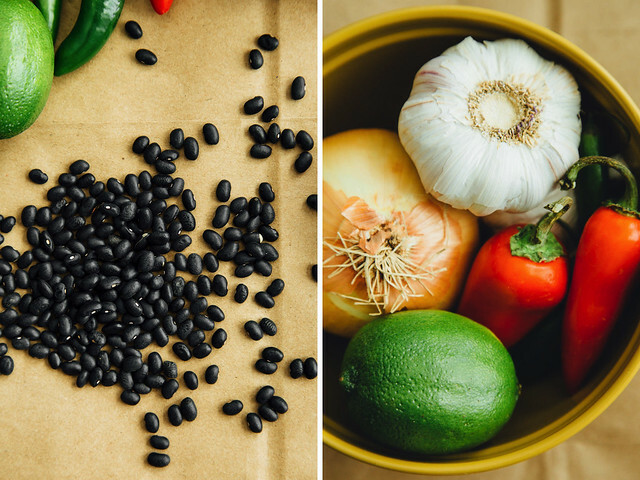 If your black beans have been sitting in your pantry for while, give them a soak the night before. If you're not into spicy black beans, use a jalapeño pepper instead of one of the spicier varieties. Oh, and DO NOT SALT THE BEANS UNTIL THE VERY END (or else they won't cook properly). Heads up: the chipotle sauce will thicken considerably once refrigerated. I usually mix in a bit more water as the days go on, but if you aren't using the sauce right away, use the full 1 1/2 cups of water and it'll be the perfect sauce consistency once chilled overnight. 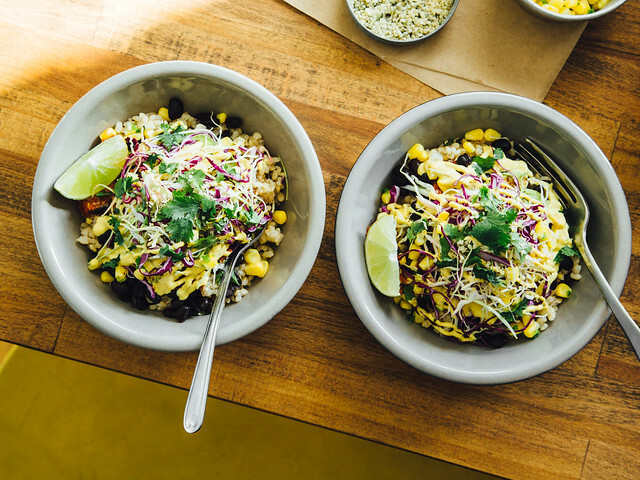 If you don't have hemp hearts, you can easily omit them (along with 1/4 cup of the water). 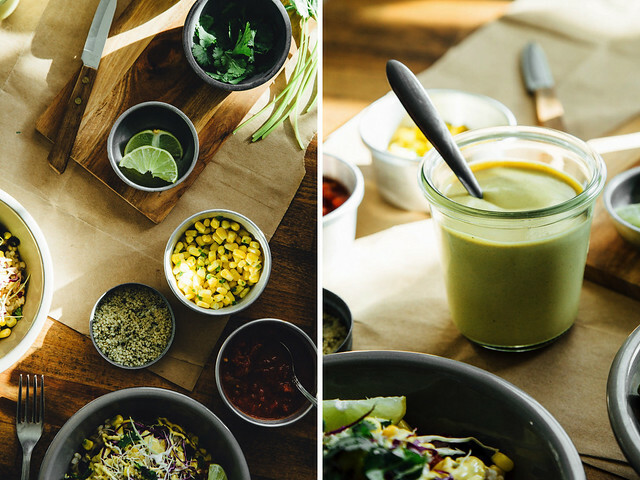 If you have trouble finding adobo sauce, you can use chipotle powder (start with 1/4 teaspoon and add more as necessary) or just use this recipe for cashew cheese sauce. UPDATE: I made the sauce recipe with an added 2 tablespoons of tomato paste and it was delicious. This post is sponsored by North American Pulses. All opinions are my own, and I think we all should be eating more pulses because they’re real good for ya (and – BONUS! – they’re good for the environment, too). 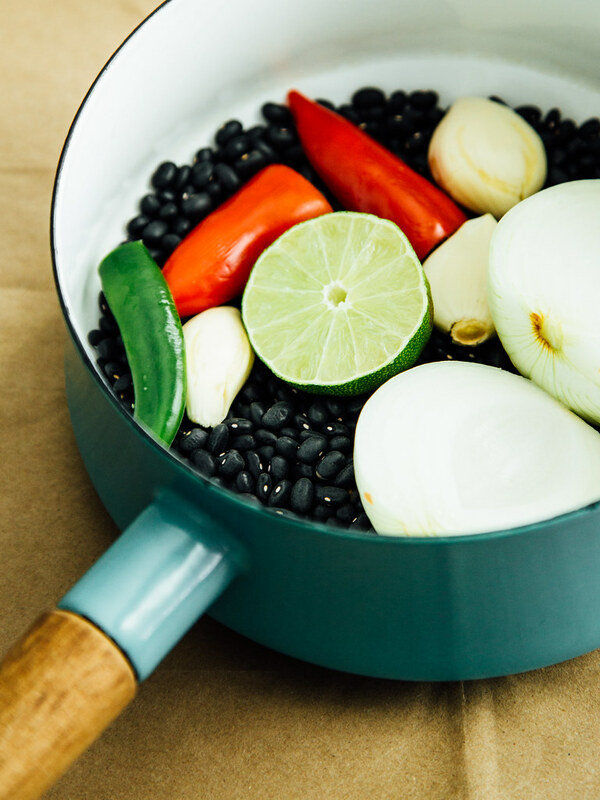 Add the black beans to a 2QT saucepan, along with the garlic, onion, pepper(s), lime, and coconut oil. Add water until the waterline is about 2 inches above the beans, then set the saucepan over medium heat and cover with a lid. Bring the beans to a boil then reduce the heat to medium-low and cook for an hour, adding additional water as needed. Remove lid, along with the lime (and other aromatic vegetables, if desired), and continue simmering the beans on medium-low heat until soft; about 1 more hour. 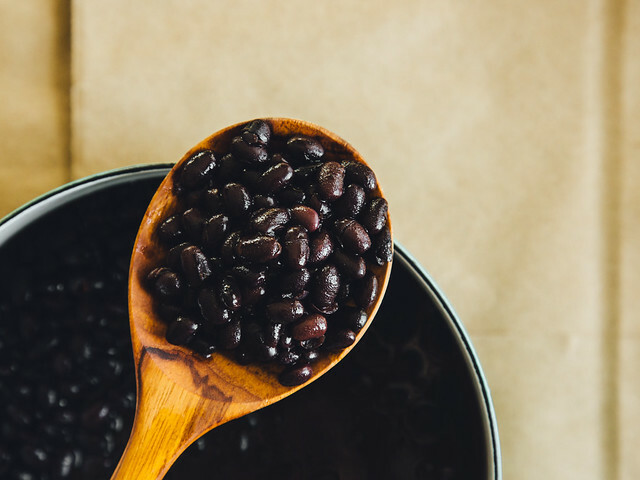 While simmering, you'll likely have to replenish the water more than a few times to ensure the beans don't cook dry. Once the beans are soft, cook until the waterline is level with the beans then set aside to cool. Once cool, transfer to a jar and store in the refrigerator. Will keep for up to five days. 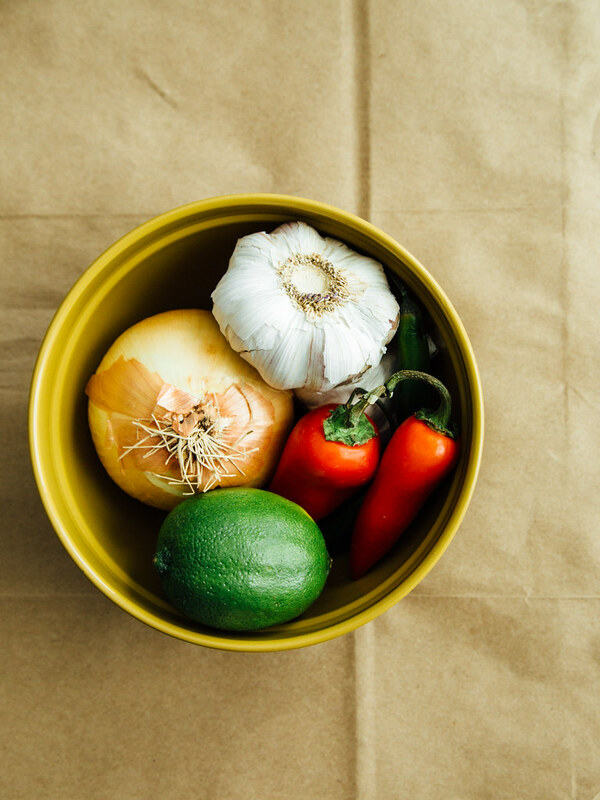 To make the chipotle sauce, discard the soaking water and add the cashews and hemp seeds to the base of a high speed blender, such as a Vitamix. Add 1 cup of the water, lime juice, ancho chile sauce, nutritional yeast, salt, and spices, and blend on high speed until smooth; about 1-2 minutes. If using immediately, you’ll likely prefer the consistency with only 1 cup of water (you'll have to water it down once chilled), but if you’re going to let it chill in the fridge overnight, add the remaining 1/2 cup of water and blend until smooth. Transfer sauce to an air tight container and refrigerate until ready to use. Will keep for up to one week. 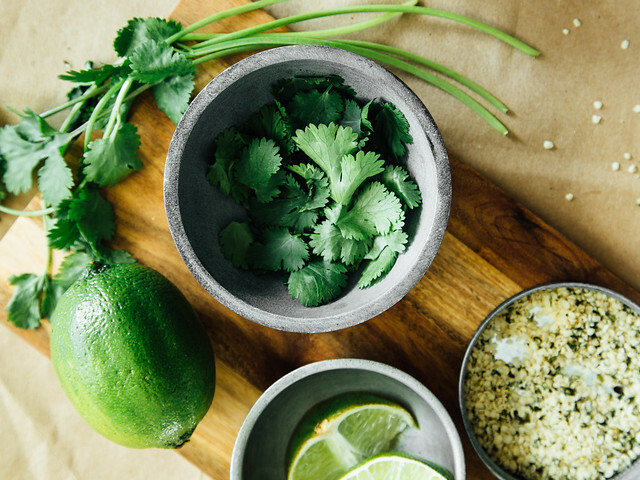 When you're ready to assemble the bowls, layer the ingredients in the order above and enjoy. Maybe with a side of tortilla chips and a tangerine margarita.